We are headed to Savannah, GA this weekend with a group of friends to celebrate my kitchen manager’s 30th birthday. 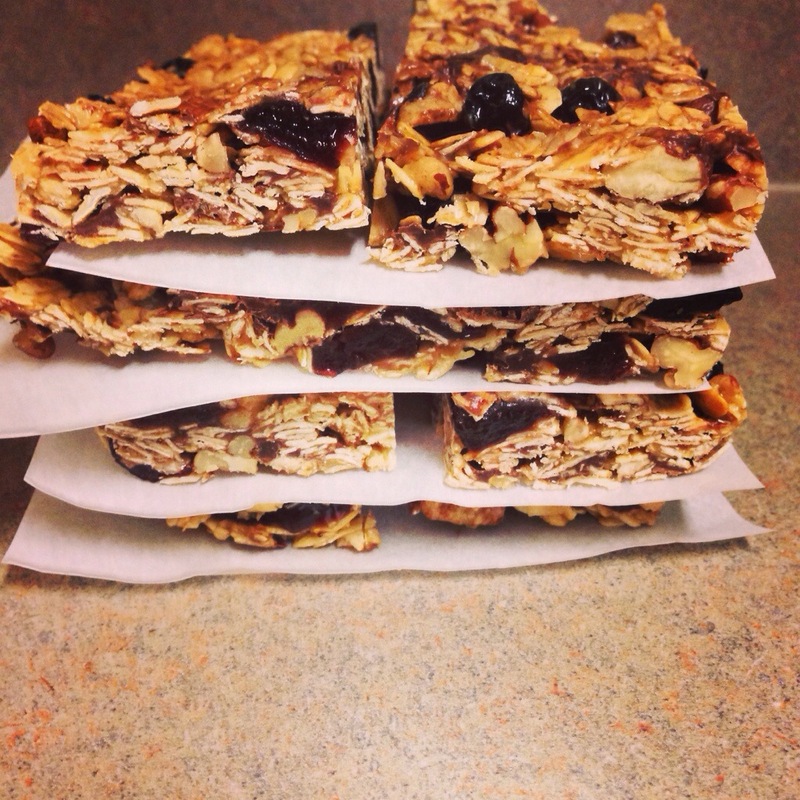 I will be packing 3 different versions of these honey oat bars for the road. I am so excited to share this recipe! They are so good and the ingredient possibilities are endless. This is just one backbone recipe that you can change up with whatever ingredients you have. The first time I made these I actually purchased all the ingredients at Aldi. I was challenging myself to decrease my spending on groceries. I found a huge variety of dried fruits and nuts at the store for super reasonable prices. We will probably not be eating store bought granola bars anymore. You should store these bars in an airtight container at room temperature. I’m not sure how long they will keep for… they tend to disappear in a few days. I am not by any means fearful of corn syrup, gluten, or any evil foods. But I truly appreciate having a snack made from a short list of natural ingredients. You will see below in the recipe a list of possibilities in addition to the ingredients I used. The chocolate is optional depending on your fruits and nuts, this particular version with pecans, blueberries, and cherries is just amazing with chocolate. In a skillet over medium heat, toast the oats, rice cereal, and nuts for 5 minutes or until fragrant. Remove to a bowl, mix in the dried fruit. In the same skillet, over medium heat, melt the butter, honey and brown sugar together. Bring to a simmer and cook for 2 minutes. Remove from heat and stir in the vanilla extract. Pour over the oats and berries and mix until all the ingredients are coated. Let cool for 5 minutes before mixing in the chocolate. Line an 8×8 square pan with aluminum foil or parchment paper. Press the oat mixture into the pan with your hands. (If it is too sticky, just put some butter in your hands.) Chill for one hour or until firm. Cut into 10 pieces.